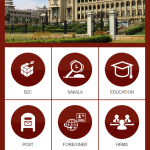 Karnataka MobileOne brings together services of multiple state and central government departments as well as private service providers. 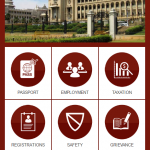 Services include government services like utility bill payments, income and property tax payment, SAKALA services, bus and railway ticket booking, application for various government services and private services in the categories of healthcare, banking, travel, legal, agriculture and other areas. 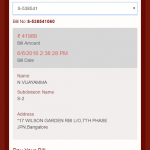 Payments on MobileOne may be made through any of the payment methods such as Credit Card (Visa/ MasterCard, American Express), Internet Banking, Debit Card (Visa/ MasterCard, Maestro, RuPay), IMPS, Cash Cards and Telecom Wallets provided by Karnataka MobileOne. 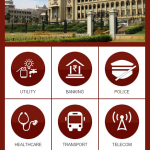 MobileOne includes a service called iCare which allows responsible citizens to report civic, safety and other issues to relevant departments including BBMP, RTO and Police. 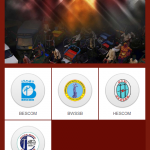 Another service called mPower allows citizens to alert pre-configured contacts in case of an emergency. When activated, text messages are sent with location coordinates and a loud alarm triggered on the device. 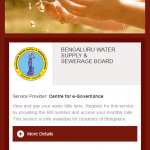 View or pay utility bills for services like electricity and water. 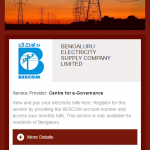 Choose from service providers like BESCOM (Bengaluru Electricity Supply Company Limited), BWSSB (Bengaluru Water Supply and Sewerage Board), and HESCOM (Hubli Electricity Supply Company Limited). 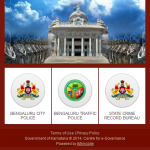 Access city police, traffic police and crime records bureau services. 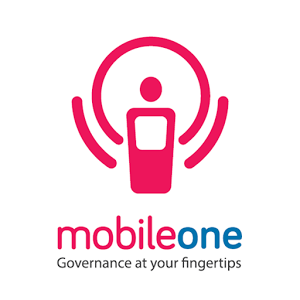 Maintenance of public order, prevention and detection of crime, and management of traffic by Bengaluru City Police comes closer to you through Karnataka MobileOne. Choose from the best healthcare services provided for you. Access the best help available in your vicinity.Now find & connect with verified health care providers, book appointments, find blood banks, labs and pharmacies and access maternal & child care solutions. Everyday commute made easy with Karnataka MobileOne. 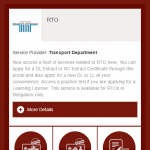 Multiple citizen-centric services like RTO services, BMTC services, Cab booking & Metro Rail (BMRCL) smart-card recharge can be accesses through this platform. 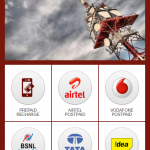 Recharge, view and pay your mobile bills. 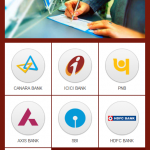 Choose from major mobile operators like Airtel, Aircel, Loop, MTNL, BSNL, Idea, Reliance CDMA/GSM, TATA CDMA/DOCOMO, Uninor, Videocon, Vodafone. Pay property tax and apply for birth and death certificates. User has to provide property account details to check Property Identification (PID) Status and can pay property taxes. Plan your travel and stay. 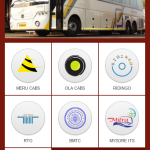 Users can book bus or train tickets and holiday packages. File taxes, pay income tax and property tax. Receive free SMS alerts on commodity prices and weather. Farmers can also receive help preparing a nutrient or pesticide plan for their crop. Exam results, applications for re-totaling and reevaluation.